What else can you do with all those juicy tomatoes? Your neighbor gives you some to add to the bowl on your counter and you dread the thought of peeling and cooking down the tomatoes for hours to make a fresh sauce. 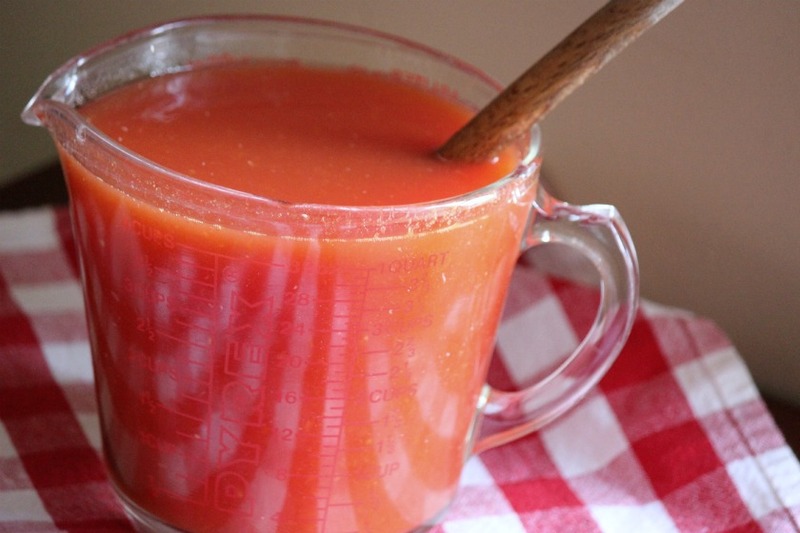 The alternative is to make yourself some delicious, fresh tomato juice. There is no peeling necessary - just the help of a food mill. For breakfast, add a squeeze of fresh lemon juice and some freshly ground black pepper or fix yourself a spicy Bloody Maria. Wash tomatoes. Cut into quarters. Remove core and add to a heavy saucepan. 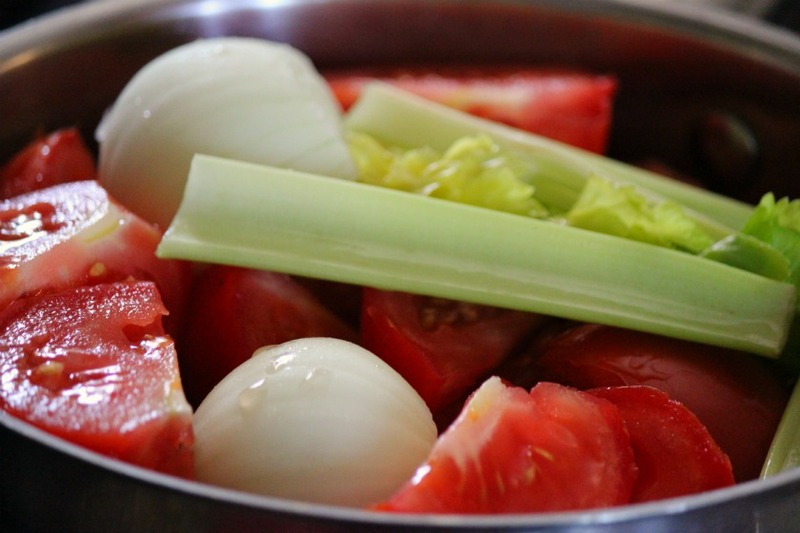 Add celery and onion and simmer about 30 minutes, or until tomatoes break down. Pass through a food mill to remove skin and seeds. To each quart of juice, add 1 tsp. each of salt and sugar. Chill at least 4 hours or overnight. To prepare the glasses, rub the rim of each glass with a lime wedge. On a saucer, combine the Old Bay Seasoning or celery salt, 1 tsp. salt and 1/4 tsp. black pepper. Invert the glass and dip the rim of the glass into the mixture. Set aside. 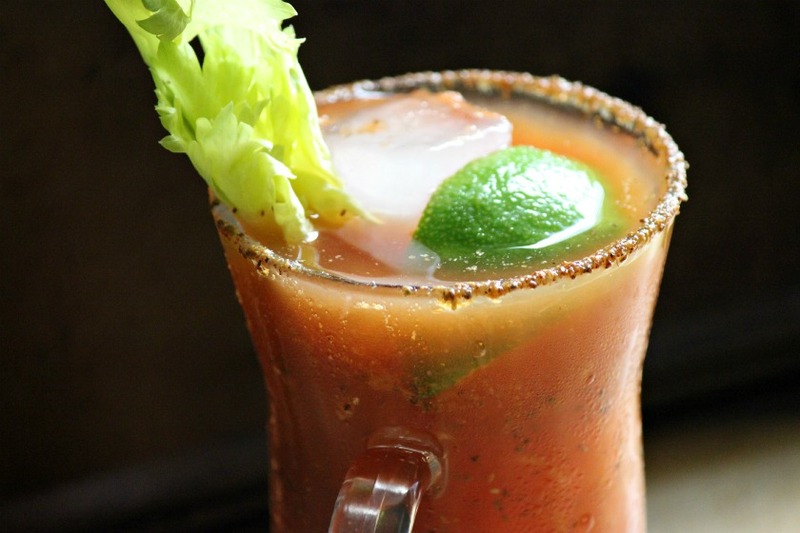 Combine tequila, lime juice, Worcestershire, hot sauce, balsamic vinegar, horseradish and tomato juice. Add a pinch of the Old Bay salt mixture and stir well to combine. 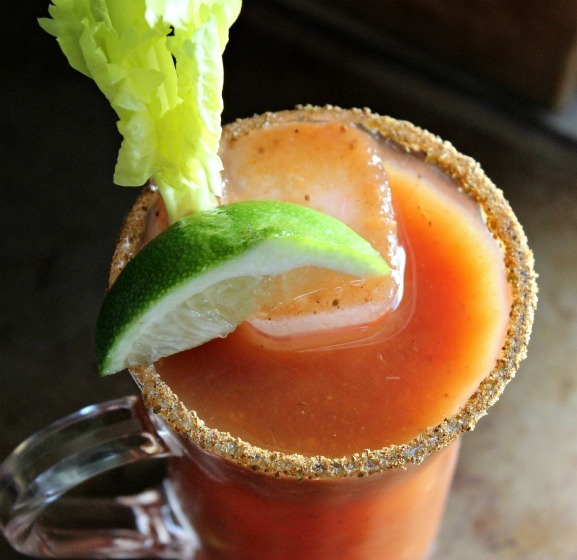 Fill cocktail glasses with ice and fill with your fresh Bloody Maria mixture. Garnish with celery stalks or scallions. Garnish are not limited to celery stalks. Garnish contenders include dill pickle spears, pickled jalapeno slices, green olives, lemon slices, bacon, basil and hard-boiled eggs.